When a vehicle brakes, kinetic energy is converted into heat through friction. This produces wear and a clear indication of this wear is the black dust which accumulates on the rims. This is unsightly and inconvenient for vehicle owners who place high value on the appearance of their vehicle. Brake dust is also harmful to the environment. ATE Ceramic is Continental's solution for low-dust, noise-free, resource-saving and environmentally friendly braking. 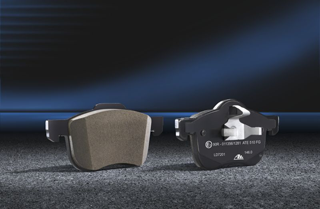 The secret of the new brake pads lies in a brake pad compound which uses innovative fiber technology. During braking, it produces a "transfer film" on the brake disc. This protects the brake disc from excessive wear. The result: less brake dust, more comfort, less wear.